Nearly 177,000 acres of protected landscapes and habitats across the South East could be at risk from a new oil rush, according to an investigation by Unearthed. 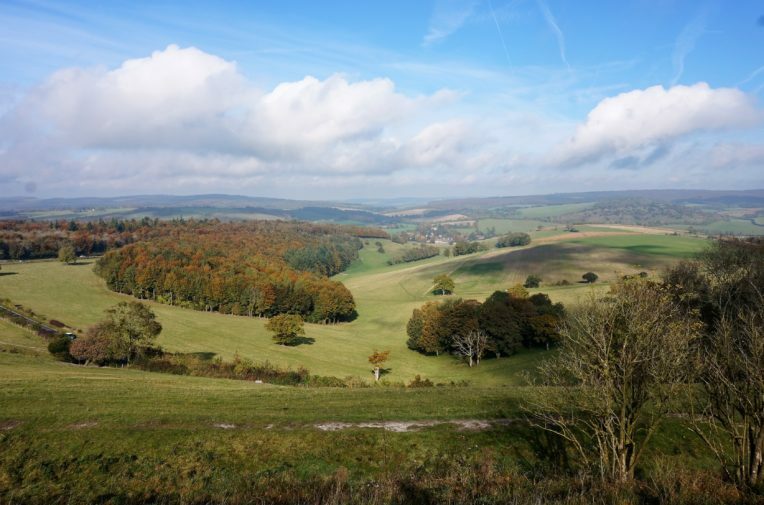 Vast swathes of the South Downs national park and the Surrey Hills and High Weald areas of outstanding natural beauty (AONB) – as well as dozens of sites of special scientific interest (SSSI) – could be affected by the new plans to drill for oil. Companies including UK Oil and Gas Investments (UKOG), Cuadrilla, and Angus Energy are bringing forward projects that could see thousands of wells drilled across the region over coming decades. The companies are primarily looking to target a ‘hybrid’ limestone and shale oil reservoir called the Kimmeridge, which they have compared to the massive Bakken oil field in North Dakota. But while the Bakken has been at the heart of the US fracking boom, a UK ban on fracking at depths of less than 1,000m – and from the surface of protected areas – mean the companies are looking at other ways to boost oil production. UKOG – which is the leading player in the search for Kimmeridge oil – plans to to boost the flow of oil using hydrochloric acid. The company hopes eventually to extract over 1 billion barrels of oil, which would reportedly require up to 2,400 wells. Now, an investigation by Unearthed has found that 47% of the area licenced for oil exploration above the Kimmeridge is made up of protected landscapes and habitats. Oil licences and protected areas in the South East. Source: Oil and Gas Authority and Natural England. Oil companies have been using acid in wells for years, but Unearthed has learned that the Environment Agency only recently began to regulate the activity, after realising its was being used in quantities that could potentially affect groundwater. A UK Oil & Gas Investments spokesman said: “We are fully aware of the sensitivity of protected areas in the south of England. How many acres are at risk? This includes 139,884 acres above the Kimmeridge that are licensed for oil exploration, together with 34,077 acres on the Isle of Wight and 2,767 acres in Sussex that are licensed and subject to drilling proposals. Up to 77,710 acres of South Downs national park could be threatened by drilling, along with 66 sites of special scientific interest. Leith Hill rises above a stunning patchwork of woods and fields in the Surrey Hills area of outstanding natural beauty (AONB). The hill is famed for its breathtaking views, night-skies and rich biodiversity. But in the woodland to the north of the hill, a group of companies – including Europa Oil and Gas; UKOG and Angus Energy – are poised to drill an exploratory oil well that has been vigorously opposed by the Surrey Hills AONB board, the Campaign to Protect Rural England and local residents. The view south from Leith Hill, Surrey Hills Area of Outstanding Natural Beauty. Photo: Adam Brooks/Wikimedia. The new well, called Holmwood-1, will form part of wider efforts to test whether the nearby Kimmeridge oil discovery at Horse Hill – the so-called “Gatwick Gusher” – is replicated elsewhere in region. This concept is that the Kimmeridge hybrid shale play harbours around 19 billion barrels of oil, which other oil companies have failed to spot. The company’s chief executive, Stephen Sanderson, hopes that more than one billion barrels of this can be extracted over the coming decades – which would reportedly involve drilling 2,400 wells from at least 100 sites. This would mark a vast expansion of oil development in a region where only 170 wells have been drilled since 1902 – just 13 of which are currently active. He added: “If Holmwood is a success then there might be further (less than 5) wells drilled on the Holmwood structure, subject to obtaining relevant permissions”. What are the rules on drilling in protected areas? Despite being designated as protected – national parks; areas of outstanding natural beauty; sites of special scientific interest, and other protected areas – are not excluded from oil and gas exploration. Drilling proposals are considered as part of the local planning process – with planning authorities balancing the interests of the protected area and its wildlife with economic concerns. In 2015 the government banned fracking operations from being conducted from the surface of protected areas. However, companies can still theoretically drill horizontal wells from outside of a protected area in order to frack beneath it. Unearthed has identified 16 oil licences in Sussex, Surrey and Hampshire, which – according to the companies that own them – could provide access to the Kimmeridge hybrid shale oil reservoir. 47% of this licenced area – 139,884 acres – is made up of protected landscapes, with two licences entirely located within protected areas and a further three comprised of over 70% protected land. The exploratory oil well at Balcombe, West Sussex, and the proposed Holmwood-1 well, are both located within oil licences in which 40% of the land is protected. The Holmwood-1 licence covers 14,549 acres of the Surrey Hills AONB and 1,133 acres of 2 sites of special scientific interest (SSSI). 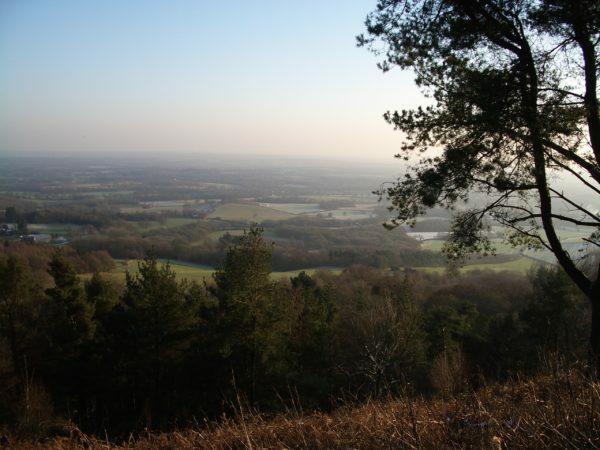 This includes Leith Hill SSSI, which is designated to protect its unique woodland habitats that are home to rare invertebrates. The Balcombe licence – which is owned by Cuadrilla and Angus Energy and targets the Kimmeridge – covers 14,492 acres of the High Weald AONB, with the well site located within the protected area. Green Party leader, Caroline Lucas MP, told Unearthed: “The threat of oil drilling in protected areas highlights a worrying inconsistency in the government’s approach, and could threaten our precious countryside. Jonathan Tidswell-Pretorius, chairman of Angus Energy, told Unearthed: “We will only develop these fields if we can do it without fracking”. A spokeswoman for Cuadrilla said the company was mainly focused on its shale gas operations in Lancashire. A 2016 report commissioned by UKOG claimed that the Kimmeridge presents a huge economic opportunity, but said this would only be realised if the oil wells were stimulated to boost production. Well stimulation typically involves using either high pressure or acid to improve the flow of oil into the well from the surrounding rock formation. Fracking, where water and chemicals are pumped into the ground at high pressure, is banned at depths of less than 1,000m in the UK, and cannot be conducted from the surface of protected areas. The depth restriction alone prohibits fracking of the Kimmeridge formation, which sits above the 1,000m threshold. The Kimmeridge – which the British Geological Survey describes as “a hybrid Bakken-type shale play” – is made up of layers of limestone surrounded by shale rock. And UKOG believes (pg.3) that natural fractures connecting the limestone and the surrounding shale mean oil can be extracted from both without fracking. Instead the company is exploring ways to use acid to enlarge pre-existing fractures and boost the flow of oil – a technique called acidization. UKOG’s acid drilling options include a technique known as “matrix acidisation”, which involves pumping a 15% hydrochloric acid solution into wells to dissolve the surrounding rock and expand existing fractures. UKOG says that it is a widely used technique in both the fossil fuel and water industries. This practice can use an average of 3,000-5,000 barrels of dilute acid per well, according to Eirik Renli – chief executive of oil drilling company, Fishbones AS. If UKOG’s most optimistic projections are realised, this could mean millions of barrels of dilute acid being transported by truck into rural locations across the region. Unearthed can further reveal that the Environment Agency has previously failed to regulate the use of acid as a technique to stimulate oil wells – meaning it holds no data about how widespread the practice has been onshore or its environmental impacts. In a response to a freedom of information request, the Environment Agency said: “This type of activity has been taking place for many years but it has only become apparent during the [Environment Agency’s recent] oil and gas sector review of permits that it is potentially a groundwater activity”. In this context, a “groundwater activity” is the use of acid to stimulate an oil well in sufficient volumes to potentially pose a risk to groundwater, which is water held in soil and rock pores underground. The Environment Agency told Unearthed that operators will be expected to apply for a permit for acid stimulation activities from now on. UKOG’s website says that it has also been working with with Norwegian drilling firm Fishbones on using its new acid jetting technology – which bores channels into rock using acid, mimicking the fractures created by fracking at high pressure. Eirik Renli told Unearthed that Fishbones’ technique is designed to stimulate a well in a “much simpler and [more] efficient manner than the traditional fracking”. The Kimmeridge is not the only oil reservoir UKOG is targeting. Its 2017 annual report states that its “strategy is geared towards oil extraction from previously unrecognised naturally‐fractured rocks within the Weald and the Purbeck‐Wight Basins of southern England”. This includes the Isle of Wight, which UKOG says has: “the same geology as our Weald Basin licences”. The company says its focus is on: “fracture‐enhanced conventional limestone and sandstone reservoirs that have been missed by previous operators” and it believes the island could harbour reserves of up to 227 million barrels of oil. 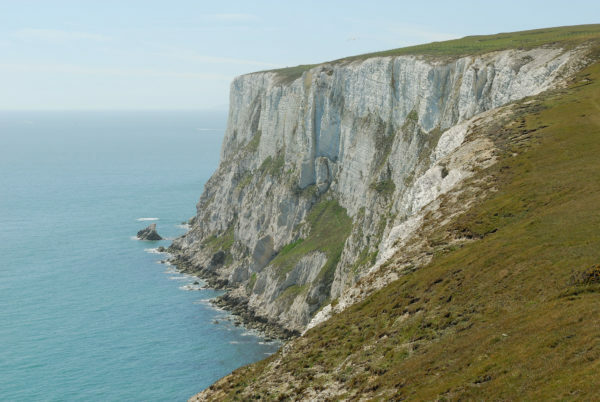 Most of the island though, is an area of outstanding natural beauty, protecting its famous beaches, rich downland and uniquely diverse habitats. The Unearthed investigation found that 34,000 acres of the AONB lies within UKOG’s oil exploration licence. The licence also covers almost 3,000 acres of SSSI sites and 1,372 acres of the Isle of Wight Downs and South Wight Maritime special conservation areas. UKOG has said that it plans to use “new and innovative” well stimulation techniques on the Isle of Wight. A spokesman for UKOG said: “Rather than importing essential resources from potentially untrustworthy foreign sources, we believe that this country’s energy security is an issue of paramount importance and that indigenous oil has a key role to play in this regard.